Chlorotic stippling around the mid-vein caused by two-spotted spider mite. 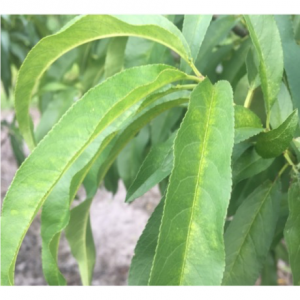 Cory Penca, a speaker at the recent Stone Fruit Field Day, covered lots of pests that are potentially devastating to peach growers. Penca is an entomology Ph.D. candidate and a student in the Doctor of Plant Medicine Program at the University of Florida. The last pest he discussed at the event was the two-spotted spider mite. Mites are related to spiders, but are very small and often require a magnifying glass for identification. Mites cause a bronzing-type damage. A lot of this damage can lead to defoliation, which can be a problem because when leaves are lost, limbs are exposed to the sun. 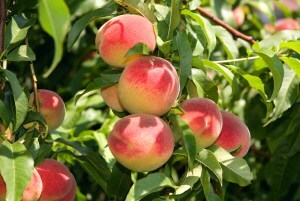 Peaches are susceptible to sunburn injury, which could lead to limb death and other problems. 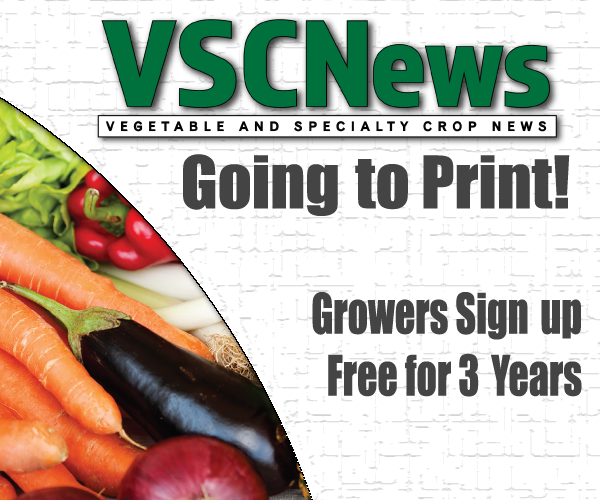 Penca said growers should monitor this pest to make sure they’re not going to get excessive defoliation. Peaches can tolerate moderate infestations, but it’s at higher levels of infestation when defoliation occurs and becomes a problem, he said. Mites are not a huge problem all the time in Florida, but they can be if it stays dry and warm for a while and gives the mites long enough to survive. According to Penca, the reason mites start to decline when it’s wet is because the high humidity lowers reproduction and there’s more fungi in the area that can actually kill the mites because they’re so small.